Sorting through my recipes the other day, I realized something shocking: it's been a long time since I've made a cupcake for this blog. The last time I made cupcakes (these strawberry milkshake beauties, to be precise) was in March — nearly four months ago! What happened? I mean, way back in 2011, this blog started out as a cupcake baking blog. Well, more specifically, it actually started out as a high-altitude baking blog. My initial goal was to try and bake my way through The Hummingbird Bakery Cookbook (a cookbook primarily dedicated to cupcakes) and, in doing so, figure out how high-altitude baking worked in the process. The blog was initially intended for just close friends and family — who knew that the rest of the world would be so interested? Because raise your hand if you've been reading since the beginning, when I still lived in Denver. If so, props! Thanks for sticking around so long!!! No, really. I mean that sincerely. And what a journey that must've been for you, to watch this blog grow in the way that it has. For instance, back in the day, I was taking hilariously ugly pictures with my iPhone! Can you believe that?!? Not even the latest model of the iPhone — I was using an iPhone 3GS! It's funny to know that these days, I'm using the waayyyy fancier Canon 5D Mark II. Besides the photography, there have been other things on this blog that have, uh, diverged from my initial baking and blogging goals. There's the first and most obvious fact: as noted in my blog header, I no longer live in Denver, and instead live at sea-level in Portland, Oregon... so there went the concept of being a high-altitude baking blog. Oops. 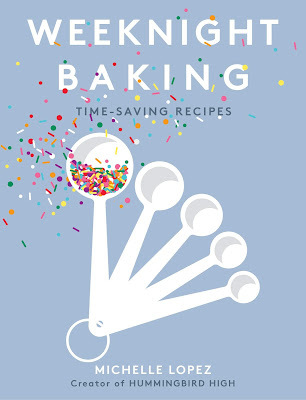 Then of course there's the fact that I actually finished baking through the book and successfully adapted almost all of The Hummingbird Bakery Cookbook's cupcake recipes to work at high-altitude... can anybody see where this is going? That is, ultimately, these two points combine to create what's become a rather big annoyance in my life: my blog's name, Hummingbird High, is no longer applicable to my current content. But I can't change it now! Because besides the technical, backend stuff like SEO and traffic, the worst part is this: you guys know me — my recipes, pictures and stories — by a name that's outdated and not really relevant to my work anymore. But from my professional point of view as a marketer (that is my day job after all), it seems like I can't change it now... or EVER. For better or for worse, Hummingbird High is my brand name. All I can do is continue to cringe when I hear it. No matter how many other kinds of recipes that I bake, I still love cupcakes. A relatively minor declaration, I know, but at the end of the day this blog's heart and soul rests on those silly little cakes. This blog would not exist had it not been for my undying love and appreciation for cupcakes, especially ones from the Hummingbird Bakery. The recipe that I'm posting today isn't from the Hummingbird Bakery (well, that's half-false — the cream cheese frosting is based on the recipe from The Hummingbird Bakery Cookbook), but I hope it's one that will pay homage to their cupcakes and this blog's beginnings. Ever since I've baked through The Hummingbird Bakery Cookbook, I'm constantly in search of cupcake recipes that I hope will hold a candle to theirs. 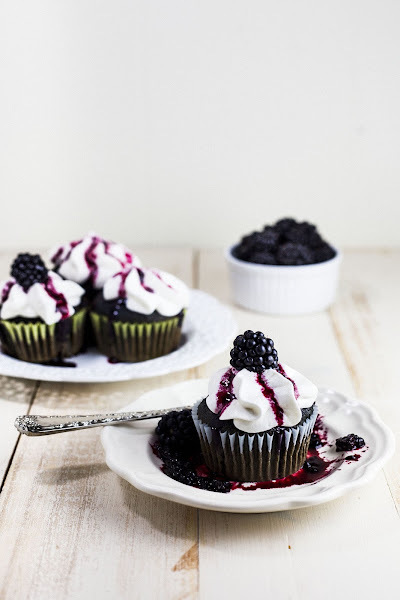 I believe this wonderfully fruity blackberry cupcake recipe, topped off with rose-tinted cream cheese frosting and homemade blackberry sauce, comes pretty darn close to something they would sell in their bakery. Be sure to use fresh blackberries for this recipe! Blackberries are still in season, get 'em while you can. In Oregon, you can get a variety of different blackberries — ask your produce seller for a kind that's not as seedy (like the early-season Arapaho blackberry) or you'll end up with seedy cupcakes like my first batch. If you can't find Arapaho blackberries, you can use a food mill to grind up your berries. If you don't have a food mill, you can just strain your blackberries through a fine-mesh sieve. The recipe calls for you to mash up blackberries several times throughout the baking process. I used a potato masher to do so; if you don't have a potato masher, you can just use a fork. I added a couple of drops of rose water to my cream cheese frosting (this combination inspired by a blackberry-geranium combination I saw in the Tartine Cookbook), but if you're a traditionalist, feel free to replace the rose water with vanilla extract. For you adventurers, rose water is available in the international and/or baking section of most grocery stores and online. For the blackberry sauce: the 1 tablespoon of granulated sugar added to the blackberries is variable, depending on your blackberries. Add or subtract 1/2 a tablespoon, depending on how tart or sweet your blackberries are. Make sure your blackberry sauce is completely cooled before spooning it over the cream cheese frosting — if you spoon the sauce over the frosting while it is still warm, it will cause your pretty frosting job to melt. For a picture-pretty look, strain your blackberry sauce. For a more rustic look and a varied texture, feel free to use the sauce as is. Be careful not to overbeat your frosting, as it can quickly become runny (especially in the warmth of the summer time). Beat until light and fluffy, about 5 minutes on medium-high speed and no longer than that. To frost the cupcakes, I used a Wilton 1M swirl frosting tip. Preheat the oven to 350 (F) and prepare your muffin tin by lining with cupcake papers. In a medium bowl, whisk together 2 1/2 cups all-purpose flour, 1 1/2 teaspoon baking soda, and 1/4 teaspoon salt. Set aside. In a medium bowl, combine 1 pint fresh blackberries, 2 tablespoons milk, and 1 teaspoon vanilla extract. Use a potato masher (or a fork) to mash the blackberries into the milk and vanilla. Continue mashing until all the blackberries are squished and the bowl is filled with blackberry juice. Place the mixture through a food mill (or strain through a fine-mesh sieve). The smoother your puree, the less-seedy your blackberries! If you're patient, feel free to strain the puree through the fine-mesh sieve repeatedly. Set aside. In the bowl of a freestanding electric mixer fitted with a paddle attachment, combine 1 cup granulated sugar and 1/2 cup (1 stick) unsalted butter. Cream on medium-high speed until light and fluffy. Add 2 eggs, one at a time, only adding the next egg until the first egg is fully incorporated. Once the eggs have been fully incorporated into the sugar-butter mixture, turn your mixer to its lowest speed. Add the flour mixture (from the second step) in three parts, alternating with the blackberry mixture in two parts, starting and ending with the flour mixture. Continue mixing the batter until the last of the flour mixture is just combined — at this point, your batter should be a deep, dark purple (or black, depending on your berries). Use a 1-tablespoon cookie scoop to divide the batter evenly into your muffin tin (I used 2 tablespoons per cupcake case — if you don't have a 1-tablespoon cookie scoop, fill your muffin cases up to 2/3rds of the way with batter). 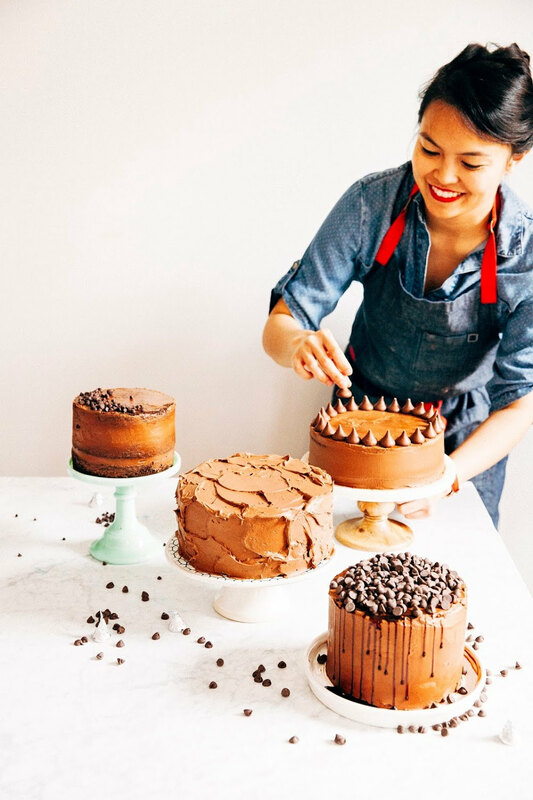 Bake in the preheated oven for 18 to 20 minutes, or until a skewer inserted into the center of each cake comes out clean and the tops of the cupcakes bounce back when gently poked. Let cool on a wire rack for 5 minutes, before turning out to cool completely. 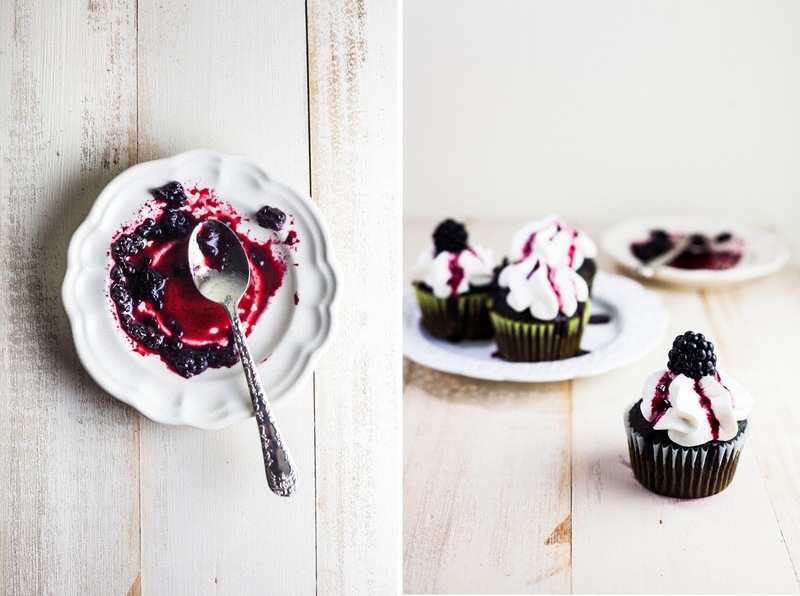 As the cupcakes are cooling, make the blackberry sauce. In a small saucepan, combine 2/3 cups fresh blackberries and 1 tablespoon granulated sugar. Use a potato masher to mash the berries into the sugar; place on your stovetop and let come to a boil. Once the mixture is boiling, remove from heat immediately and let cool on a wire rack. For a clean look, strain to get rid of blackberry seeds, but this is entirely optional (see baker's note). In a freestanding electric mixer fitted with a paddle attachment, combine 4 2/3 cups confectioner's sugar and 6 tablespoons unsalted butter. Beat on medium-slow speed until the mixture comes together and is well mixed. Add 1 teaspoon rosewater and 8 ounces cream cheese in one go and continue beating on medium-slow speed until it is completely incorporated. Once the cream cheese is completely incorporated, turn your mixer to medium-high speed. Continue beating until the frosting is light and fluffy, until 5 minutes. Do not overbeat, as it can quickly become runny. I had exactly this conversation about my blog name with someone today and came to exactly the same conclusion as you did. Even if Hummingbird High doesn't really represent what you're doing anymore, I still think it's a great name for a blog. 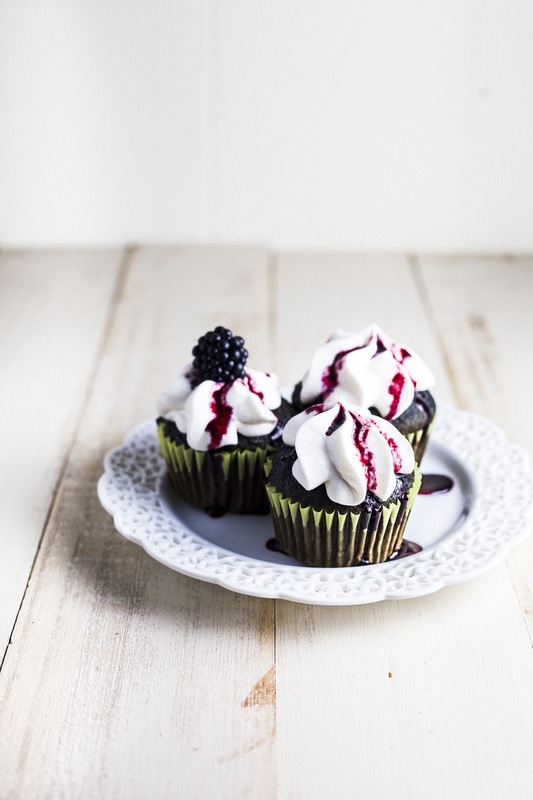 Love these cupcakes, blackberry and rose sounds like a wonderful combination. Oh no! I really like your blog's name — it's certainly more applicable to your content/work than mine is. That's funny you feel that way about your name though... glad to see I'm not alone. I wonder how many bloggers feel like they've outgrown their name. i am sure going to miss blackberry season when it's gone! I'm a new reader and I always assumed that the name was referring to a sugar high as well as the sweet nectar hummingbirds flock to. I think it's a great name for a blog! I, too, think it’s a great name for a blog! Being a relatively new reader, I thought that the blog’s name referred to the feeling of bliss when you get a really delicious treat from a bakery! I can't get over the color of these cupcakes! They're so dark, I'd swear they were chocolate! Blackberries with cream cheese sounds so divine; I wish they were more available here on the east coast. And I totally agree with the other commenters, your blog name is pretty! I love the name of your blog! It is what drew me to it in the first place. I used to live near Portobello Road in London (I am now back in Sydney, Australia) and The Hummingbird Bakery was just about my favourite place to visit to buy a sweet treat. I still dream about their cupcakes!!! 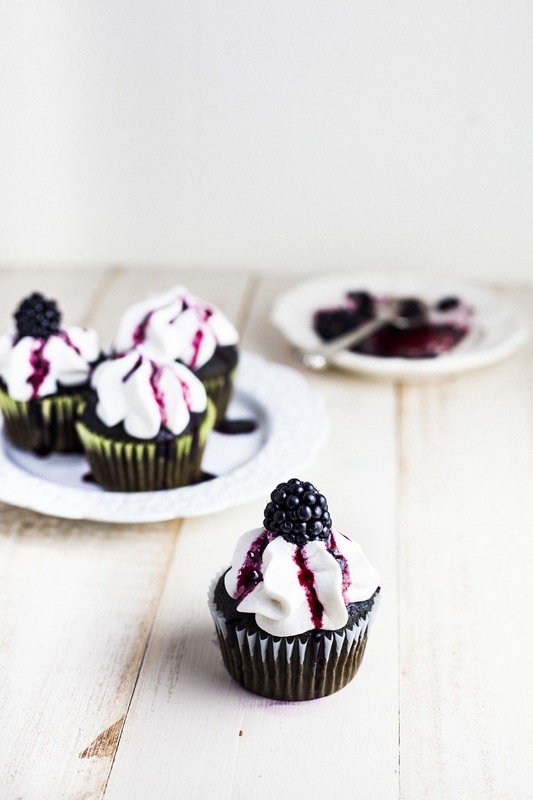 I think your blog is fantastic and these Blackberry cupcakes look sooooo yummy. These are gorgeous! I'm a sucker for cupcakes too (I worked for a food truck that almost exclusively made them)--there is something so fun and creative about them. The possibilities are endless! Those cupcakes look divine! And I like your blog name. It's all about owning it and I think you do that well. And blackberries really are amazing. Mmmm just taken these out of the oven and 'taste tested' one and they are amazing! I thought the amount of vanilla might overpower the blackberries bit their amazing floral powdery taste is still there. Just waiting for them to cool before I do the frosting.